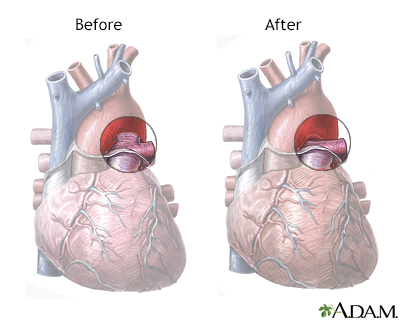 CHD can describe a number of different problems affecting the heart. It is the most common type of birth defect. 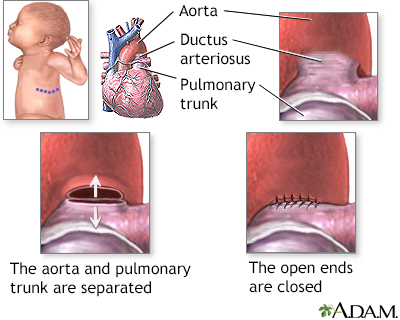 CHD causes more deaths in the first year of life than any other birth defects. Often, no cause for the heart disease can be found. CHDs continue to be investigated and researched. 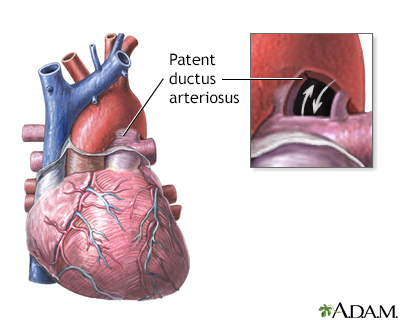 Drugs such as retinoic acid for acne, chemicals, alcohol, and infections (such as rubella) during pregnancy can contribute to some congenital heart problems. Symptoms depend on the condition. 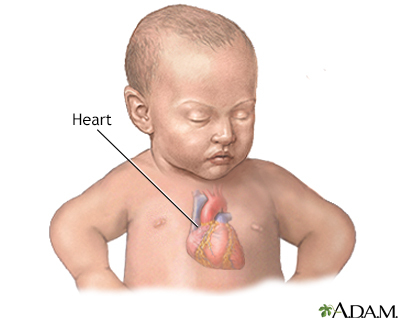 Although CHD is present at birth, the symptoms may not appear right away. Some CHDs can be treated with medicine alone. Others need to be treated with one or more heart procedures or surgeries. Certain genes may play a role in CHD. Many family members may be affected. Talk to your provider about genetic counseling and screening if you have a family history of CHD. This is an ultrasound showing a ventricular septal defect pattern of the fetal heartbeat. Some ultrasound machines have the ability to focus on different areas of the heart and evaluate the heartbeat. This is useful in the early diagnosis of congenital heart abnormalities.